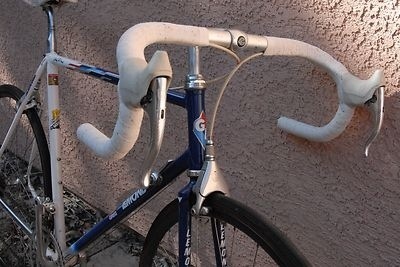 Here is a fully specced 56cm Coors Light Team Edition Lemond found on eBay. For the ’89 season Greg Lemond ride for the ADR Team while in Europe where he won his second Tour de France by an amazing 8 seconds. Back in the US though he raced for the Silver Bullet and here’s the ride to prove it. This Columbus TSX frameset is wearing a period correct full Campagnolo C-Record groupo. The Delta brakes are a work of art which is nice considering they don’t function too well as brakes. You will certainly stand out at the next group ride with this. 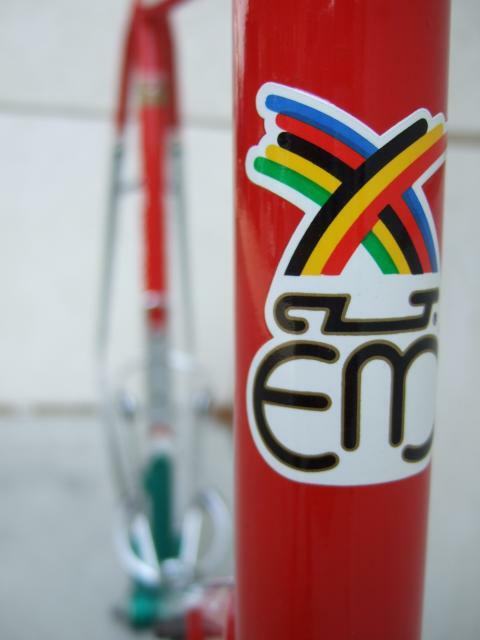 The 7-Eleven team paint scheme looked fantastic on these Merckx frames back in the day. All this needs is a few Wolber and Hoonved decals plus a Dura-Ace 7400 group to make it a stylish bike that will stand out in the sea of carbon rides out today. Just a day left on this one but with no bids and only a Buy it Now price it may come back for sale at a lower price.